Creating the next-generation of eBooks for classroom instruction. | Clarity Innovations, Inc. Creating the next-generation of eBooks for classroom instruction. Curating a comprehensive, high-quality, open educational resource (OER) based curriculum aligned with state standards in a next generation format that supports interactivity and multimedia. 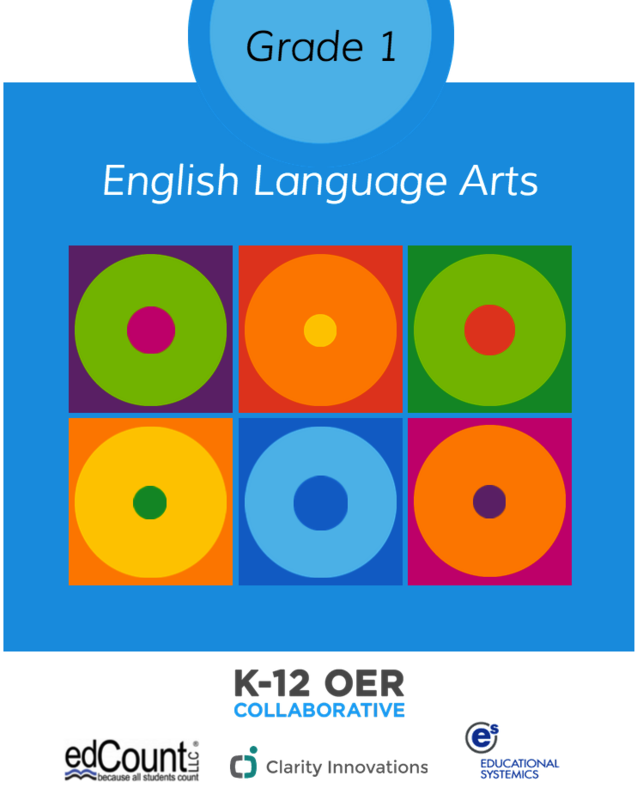 The K-12 OER Collaborative, a state-led coalition of non-profit OER publishers and educational institutions, selected edCount to create a working prototype of an OER-based curriculum vetted for alignment with standards, appropriate text complexity, and differentiated instruction activities. As part of the project, edCount needed a partner to lead the development of interactive learning activities and publishing it using the next-generation EPUB 3.0 standard. While several collections of open educational resources ("OER") exist, there isn't yet a comprehensive curriculum assembled as a package of units, lessons, supporting materials, assessments, instructional activities and student assignments. The K-12 OER Collaborative issued an RFP to select firms capable of conducting the research, review, evaluation, and analysis of available OER resources to come up with a complete package for educators to use and adapt for free. We identified appropriate interactive learning activities that aligned with learning outcomes across grade levels, and engineered a technical design that ensured accessibility and compatibility with a wide range of readers that support EPUB 3.0. Once EdCount had assembled and OER curriculum, we then designed, formatted, and published the text, images, graphics, videos, tables, figures, and other interactive materials into the EPUB 3.0 format. The first prototypes were delivered to the K-12 OER Collaborative in June. Led by a group of eleven states, the K–12 OER Collaborative initiative is supported with expertise from state content specialists, the Council of Chief State School Officers (CCSSO), Creative Commons, Lumen Learning, The Learning Accelerator (TLA), Achieve, the State Educational Technology Directors Association(SETDA), the State Instructional Materials Review Association (SIMRA), and the Association of State Supervisors of Mathematics (ASSM).